I got into Monster Hunter fairly recently – starting with Generations – so I wasn’t lucky enough to see how it played out on consoles, but I’ve got a bit of an idea just how the series works. Generations was full of intricate planning and the necessity for patience when heading out to take down monsters was a must, but this was on the 3DS. 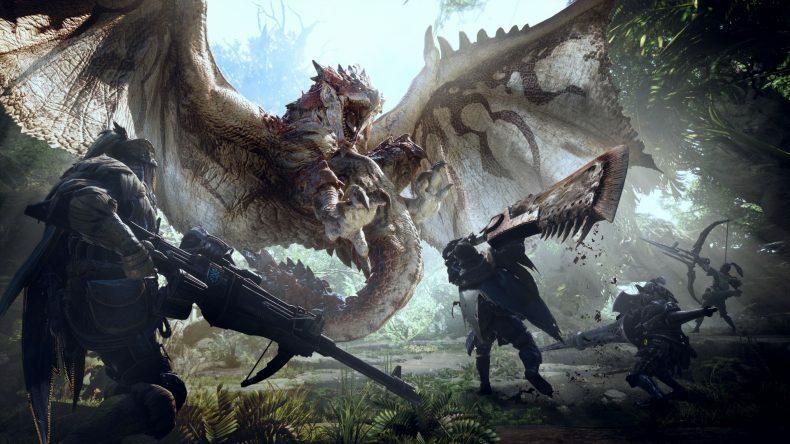 It’s been around 4 years since a non handheld console in the UK has seen a Monster Hunter game, and with Monster Hunter: World, something has got to change if it’s going to appeal to the masses. 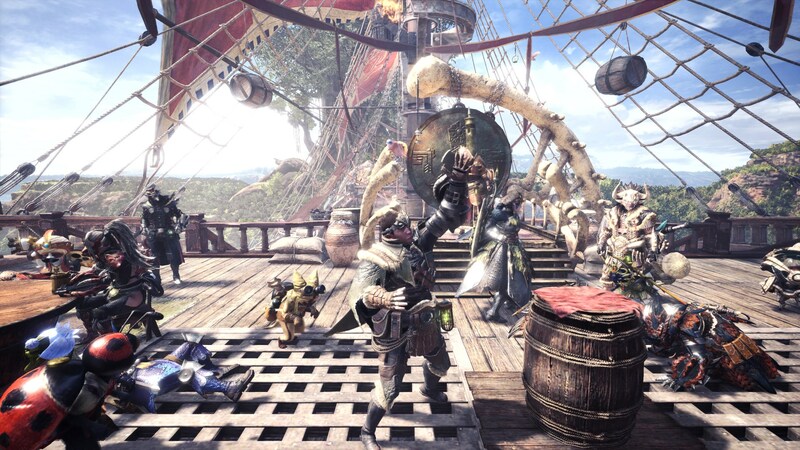 The Monster Hunter series has notoriously not performed as well as it should outside of the East, but it seems that Capcom has made some significant changes to things, whilst still keeping the core mechanics rooted in the hunt. I recently played Monster Hunter: World and a press event in London, and found it to be a definite step forward in the franchise. The areas are now open instead of zoned, meaning all the loading screens are taken out. When taking on the various monsters, I couldn’t escape into another zone to drink a health potion. Instead, I had to find a short break in combat to drink it: thankfully you can now move, but you’re slow. One small step and all that. Ryozo Tsujimoto, the game’s producer, told me that the ecosystems will play a huge role in gameplay, and how important it was to pay close attention to the way the monsters act within them. The two different areas I got to see were beautiful, and the games ecosystems are set to play a huge part in things. One was set in a wasteland filled with mountains and caves, with some of its land covered in boggy marshes, and the other was in a lush green jungle. There weren’t just the humongous monsters within the environment either, as both had flora you could pick up to craft potions and more with, and fauna you could interact with, including a Paratoad. Pro tip: Don’t kick the Paratoad because it WILL paralyse you. Whilst fighting an Anjanath (a Tyrannosaurus Rex–like monster), we were interrupted by another monster, a Great Jagras (a frilly-necked Iguana). 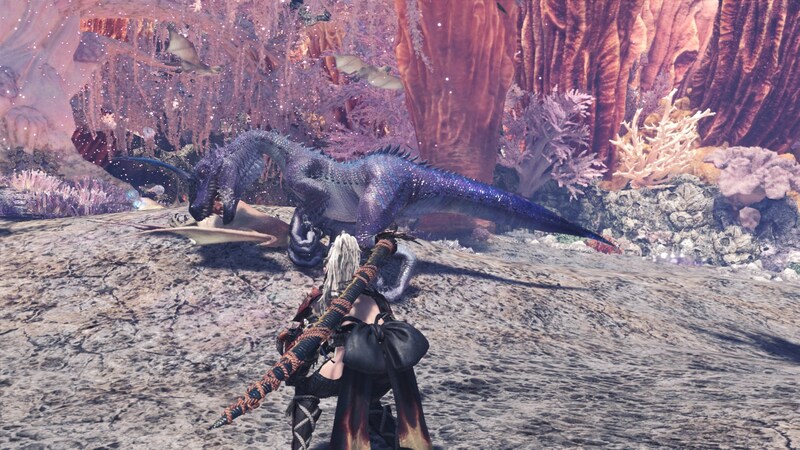 The Jagras went for the Anjanath’s neck, and started wrestling with it on screen. It was a majestic sight to see both go at it, but it also meant we all had a brief respite from the action. Encounters with monsters will also happen randomly. We were off hunting a rock-based beast called a Barroth, when a Jyuratodus (a creature residing in one of the bogs that looked like it was part eel, part raptor) popped up, and without any conferring, we all decided to batter the living hell out of it. Don’t get me wrong, it was a satisfying victory, but an unnecessary one as our actual target was somewhere else, and our time limit didn’t last long enough for us to take both of them down. These interactions and encounters aren’t scripted either, as Tsujimoto let me know. I was glad I asked because I really liked the idea of these acts of nature messing up careful planning later down the line. Although I only saw five monsters, it was enough for me to know just how fantastic this game will be when playing with friends. There were four of us in the team, but we weren’t using mics. I imagine that in a group of friends, all chatting to each other whilst gearing up for the hunt, followed by a journey into the wilderness hunting then attacking the various beasts, World is going to perform superbly. There are 14 different weapons, and I got to check out a fair few, including the Jyura Hatchets and the Angel Blade. I found many of the weapons much different from one and other, meaning your tactics are going to need to change quite a bit with each hunt. Some weapons are slow, but do much more damage, but using these against a faster monster can be fatal. Each weapon also has different attacks, but they all seem to fall into a hack and slash routine after a while. It is this that provides my only concern with gameplay, because I don’t want the combat to get boring. I’m hopeful that the further you progress, the more your moves improve or change, but from the event, I didn’t see a lot of this. Monster Hunter: World is all about hunting monsters, harvesting them, then using what you recover to craft better stuff. Pretty familiar if you’re played the series before – still, it’s a much better way to play. You don’t have to worry about EXP, or levelling up. It’s all about making your weapons better, or armour, and the rarer the kill, the better the drop. Tsujimoto told me the gear you collect from multiplayer fights can be used in your own single player game – something I was pleased to hear. Both games can be dipped in and out of, and both can be played at the same time. 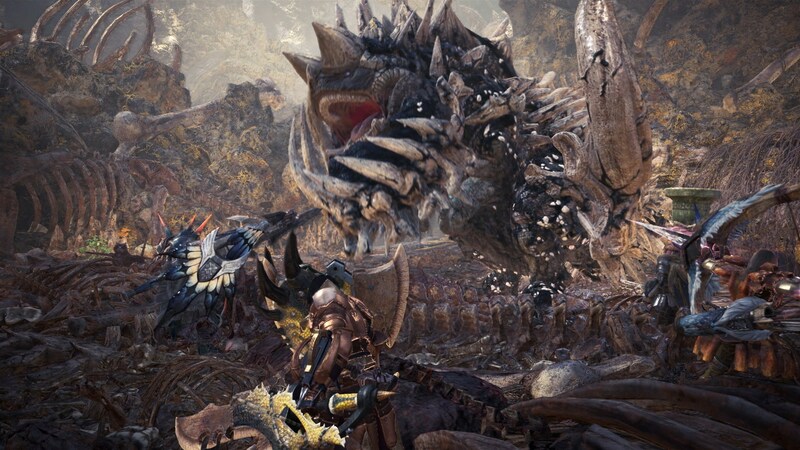 Tsujimoto was keen to mention Monster Hunter: World is about jumping in and out of both modes, mainly to help gamers give a much more rounded experience than before. Older multiplayer elements in previous games expected you to know the main game before dabbling with it, but here the tutorials and learning curves flow together beautifully. Monster Hunter: World will be in everyone’s hands soon, and on the whole, there’s a lot to look forward to. If the full game offers versatility in the different monsters, and a challenging route to the finish line, I think it could provide one of the best multiplayer experiences out there. I just hope the variety in combat is there, and there’s significant progression too.